Celebrate the joyful spirit of baisakhi with fun, it is the season to enjoy with ur loved ones friends & family Happy Baisakhi ! ! ! Kuri (20) maane Jouban.Bhoy, sankoch bileen, Kuri mane bandhan chhire Paalte deoyar din ! 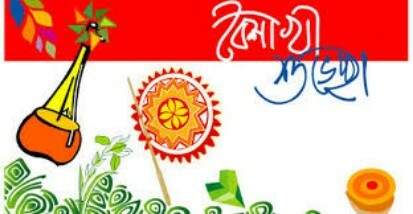 SUBHO 1420 !! Bochor seser jhora pata bollo ure ese,Ekti bachor periye gelo haoar sathevese.Natun bachor asche take jotno korerekhoSwapno gulo sotti kore vison valo theko.